Established in 1993, Celebrated affairs are an independent wedding exhibition organisers, with events in Surrey and Middlesex. Through our quality of service and dedication in promoting successful events, we have over 100 regular exhibitors, exhibiting at some of the most prestigious venues. From the moment we discuss your needs to the end of your very last show, we are there to help you every step of the way. We email you literature covering every aspect of exhibiting with us and once you have booked you will receive set-up details for each show and marketing information. On exhibition day, you are greeted by our friendly management team who will help you throughout the day. Exhibitor notes will be placed at your space and we keep you fully aware of the day's events. Exhibitor refreshments and lunch are provided complimentary at every show. All exhibitions have a variety of different companies participating. We cap the total number of exhibitors in each category to encourage diversity and variety. Many exhibiting companies work exclusively with us. They find our wedding exhibitions are the best attended in their respective areas and consider us the areas leading wedding exhibition organisers. Exhibiting couldn't be easier! - No matter how big or small your company is, you can get involved at our fantastic shows. We have exhibition management staff to attend to your exhibitor needs and visitor registration. Extensive advertising is placed in many printed publications, local radio stations, online wedding directories, social media and Google Adwords. "Bridal Bags" are given to each attending bride, made up of literature from advertisers and exhibitors. This ensures each bride has your information to take home with them. Free entrance and parking for all attending brides. We do not charge an admission fee - this encourages couples to bring the key people with them to help make their decisions. Complimentary exhibitor refreshments and lunch provided throughout the day (maximum of 2 lunches per company). Extensive advertising - including radio, newspapers, online wedding websites, social media and printed publications. Exhibition space – Starting from a single 6ft stand, we also have double 12ft stands and larger stands for Bridalwear. Leaflet distribution – We collate your promotional material with others to produce a bag of information for each bride. Advertising material - We produce a number of screen-ready adverts for you to use on your website and social media. Tables & Chairs - All tables and chairs are provided with your stand, should you need them! Electricity supply - Light up your stand! Many exhibitors bring TV's, computers and equipment to show their services. Refreshments throughout the day. We provide complimentary refreshments including teas, coffee, juice and biscuits. Relax at lunch time with a pre-packed sandwich. Usually a choice of up to 8 fillings (max. two people per company). To contact us please call on 01895 251 000 or head over to the Contact Us page. Please see the prospectus detailing our events here. To book a place please fill in the online booking form. Celebrated Affairs - The Area's Leading Wedding Show Organisers - Since 1993. We have worked with over 800 wedding companies. We have a wealth of experience in the wedding industry, many of our exhibitors have attended shows with us for 10 years - or more! Our company promotes wedding venues and companies to couples getting married through wedding shows in Surrey and Middlesex. 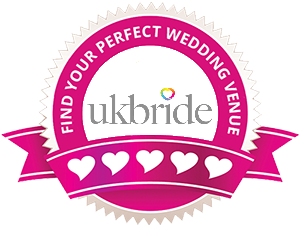 We organise the largest and best attended local wedding shows. If your venue is looking for a wedding exhibition company to organise a wedding show, then we would love to hear from you and discuss the opportunity of putting on an event at your venue.